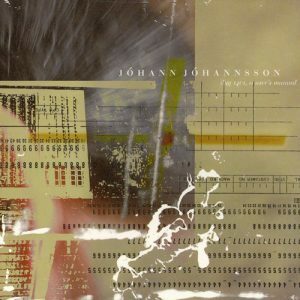 Inspired by a recording of an IBM mainframe computer which Jóhann’s father, Jóhann Gunnarsson, made on a reel-to-reel tape machine more than 30 years ago, the piece was originally written to be performed by a string quartet as the accompaniment to a dance piece by the choreographer Erna Ómarsdóttir. For the album version, Jóhann rewrote the entire score, and it was recorded by a sixty-piece string orchestra. He also added a new final section and incorporated electronics alongside those original tape recordings of the singing computer.